Most of the time when one product takes on another in a no-holds-barred face-off somebody walks away with a championship belt. Not this time. 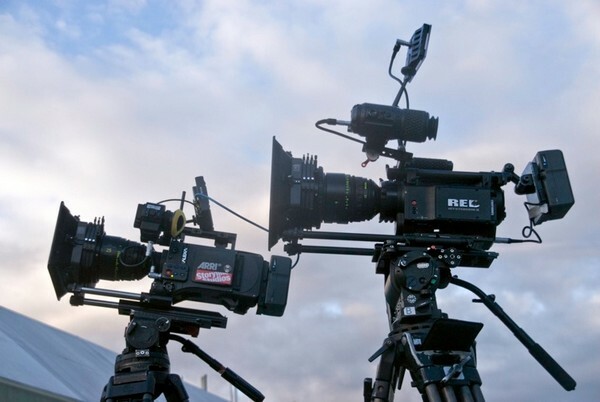 Here it's Gunleik Groven, Norwegian filmmaker and photographer, comparing the RED One Mysterium X and the Arri Alexa, two pro-quality shooters that come in at a price semi-pro producers can afford -- the RED clocking in at $42,485 the way Gunleik configured it, the Arri at $70,000. There are some obvious differences, like the RED shooting at 4K and the Arri at 1080p, but the vast majority of the comparisons here are far, far more subtle than that, meaning you're just going to have to pore over the comparison on the other end of the source link yourself and download the gigabytes of sample footage that's been thoughtfully provided. If you do need something of a conclusion, though, it's this: "These are both excellent cameras we could only dream of 5 years back... you cannot really complain on the equipment if you don't get your shot with either of these." This week Inhabitat showcased several groundbreaking feats of high-tech architecture - starting with plans to transform the United States' tallest skyscraper into a soaring solar farm. We also saw a vision for a geodesic home of the future that is popping up in China this year, and we learned that scientists in Qatar are developing a series of solar-powered artificial clouds that will cool the country's stadiums during the 2022 World Cup. It was a big week for energy news as well as Germany and Italy announced plans to abandon nuclear power in the wake of the crisis in Japan. Tata & MIT also announced a breakthrough technology for generating power from water, and we saw solar energy reach new heights as Suntech set off to install the world's tallest solar plant on the Tibetan Plateau. Speaking of soaring green designs, we watched a brand new electric vehicle take to the skies as the solar-powered Elektra One airplane successfully completed its maiden flight. This week we also showcased several cutting-edge examples of wearable technology including an app that instantly transforms any drawing into a made-to-measure dress. We also learned that Virgin Atlantic now offers passengers bespoke shoes while they wait, and we took a look at a futuristic pregnancy belt that offers an inside look at the womb. Finally, we saw several amazing examples of recycled design - Chinese artist Wing Wah has created a set of scrap metal transformer robots that look just like the movies, and designer Mati Karmin has transformed defused land mines into an edgy set of interior furnishings. 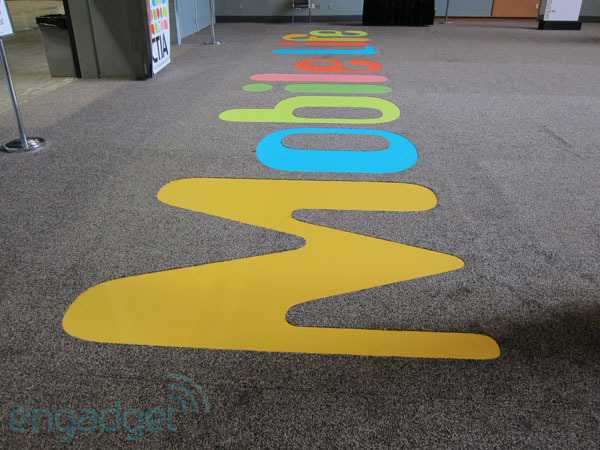 We just got home from this little massive US mobile industry event you may have heard about called CTIA Wireless. It took place in Orlando this year (instead of Las Vegas as usual) and we can definitely say that Sprint was the star of the show with its HTC EVO 3D, HTC EVO View 4G, and Google Voice integration. Samsung also delivered some goodies with the Galaxy Tab 8.9, a redesigned Galaxy Tab 10.1, the Google Nexus S 4G for Sprint, and the Android-powered Sidekick 4G for T-Mobile. LG re-badged the Optimus 2x as the G2x on T-Mobile, and the Optimus 3D as the Thrill on AT&T. The HTC HD7 made a comeback as the Super LCD-equipped HD7S on AT&T, and Nokia gave us the Astound, nee C7, for T-Mobile. Of course, that's just the tip of the iceberg -- so if you missed the action this past week, we've got you covered with all the nitty gritty in the links below. HTC EVO 3D vs. EVO 4G... fight! HTC EVO 3D and EVO View 4G tablet spotted -- on Sprint's website, where else? Live from Samsung's CTIA event! Live from Sprint's CTIA event! And if that's still not enough, be sure to listen to our CTIA 2011 podcast and take a look at our CTIA 2011 page right here. Nokia's current typeface -- Nokia Sans -- feels like one of the great constants in the consumer electronics industry, a design that instantly screams "Nokia" the moment you see it (for better or worse). That kind of strong, tight brand recognition from something as basic and simple as a character on a screen really isn't something that you can buy -- it needs to be built and cultivated over many, many years -- so we're sure that Espoo's decision to chuck it and start fresh wasn't taken lightly. In fact, we're sure it wasn't taken lightly because the company has published an 800-plus word explanation and defense of its decision to kill off Nokia Sans and replace it with Nokia Pure, a font it describes as the embodiment of "beauty in supreme usability." Of course, it's no coincidence that the font change comes just as Nokia's trying to go back to the drawing board, both with its hiring of outsider Stephen Elop and its decision to phase out Symbian and add Windows Phone into the mix; sure enough, the company says that it plans to use Pure on its devices and that "it has been designed specially for mobile and digital environments." What do you think? What do you think of Nokia's new font, Nokia Pure?